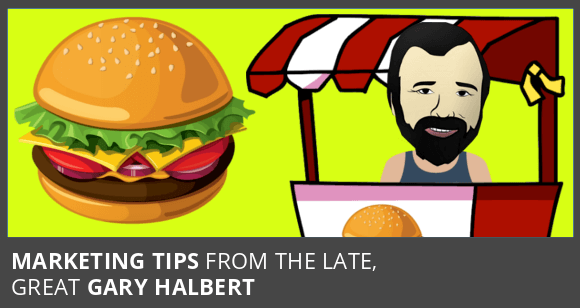 Discover the number one advantage Gary Halbert wants when selling hamburgers. And, 5 ways to apply it to increase your Google advertising sales and profits. Some people would want superior meat from which to make their hamburgers. Others say they want sesame seed buns. Others mention location, or be able to offer the lowest price. And so on. Gary said this long before the internet. And yet, it’s as true today as it has ever been. Even the best marketing strategy will fail with poor quality traffic. Yet, an average website will make some sales if traffic quality is good. “Traffic Quality” is the most important factor in the success of your advertising. In this article you’ll discover 5 targeting strategies that generate high quality, buyer traffic from Google. Most people think that the keyword in their campaign reflects the exact (and only) variation that gets clicked on Google. However, this definition actually describes “Exact Match” keywords. Which is the most tightly targeted match type, only appearing for the “exact” variation, close variants or misspellings of the keyword. For example, an advertiser with the exact match keyword “dentist sydney”, will not appear for “dentistry sydney”, “sydney dentist”, “dental sydney”, or any other phrase variants. However, all other keyword match types are triggered by variations, synonyms, and related keywords and phrases. Which can lead to a lot of poor quality traffic. Google use “Broad Match” as their default match type. Broad Match is arguably the most difficult match type to work with. You see, Broad Match leads to a lot of poorly matched traffic. So, why would Google use Broad Match as their default keyword match type? Maybe it’s because most advertisers use a simple campaign setup. They use only a few keywords in their campaign. Therefore, Broad Match targeting helps them to show up for all the descriptive, long-tail keyword variations that they missed (and there are many). Did you know… around 15% of Google searches have never been seen before. And in every market, there are thousands of commercial intent keywords. So, Broad Match helps to pick up a lot of these missed search terms. However, Broad Match also picks up a lot of junk keywords with no commercial intent. So, while it is useful, it requires a high level of AdWords skill to use them effectively. I suggest you launch your campaign without Broad Match keywords. Then once the campaign is ticking along, you can slowly introduce them in a controlled way. This goes in to advanced Keyword strategies. When executed in the right way, it can dramatically improve traffic quality and campaign results. Display your ads to people in, searching for or who show interest in your targeted location. And, exclude people in, searching for or who show interest in you excluded locations. We saw with Broad Match just how poorly matched some keywords become. If you want to improve traffic quality, It’s important to specify to Google exactly where you do and don’t want your ad displayed. With location targeting you can add or exclude areas down to specific suburbs. However, it’s important to note that IP targeting in Australia isn’t as accurate as many other developed countries. Which means that, sometimes your ad will display outside your geographic target location. Negative keywords are a type of keyword that prevents your ad from being triggered by a certain word or phrase. It tells Google not to show your ad to anyone who is searching for that phrase. This will take some time to set up. However, the money you’ll save is well worth it. Ad Scheduling sets the days and times when your ad appears on Google. If asked, most advertisers would probably want their ads to show 24/7. Yet, they may not know what implications this has on their results. Unless you have an unlimited budget, and, can prove the campaign is profitable running at all time of the day, then you should consider ad scheduling. Firstly, if you want to generate phone calls, you might want to schedule your ads to show when someone is available to answer the phone. Even with the best intentions, a prospect might write down your phone number and then forget to call, or get caught up in the distractions of daily life. Bare in mind, the average website converts only 5% of traffic in to a lead. You don’t want to create any roadblocks that prevent a prospect from taking action. And second, if you have a limited budget, then you’re better off spending your budget when it gets the biggest bang for your buck. THere’s very little difference in traffic volume when you spend you budget over a few hours versus spreading it throughout the day. However, you might get more sales by advertising more aggressively at the times of day when a prospect can pick up the phone and call. There are multiple ways to structure your campaign, ranging from simple to comprehensive setup. The simple structure is quick and easy. It’s also very low maintenance. Which makes it popular with low-budget Google Managers, and self-managing businesses. However, the simple structure does come at a cost. It removes all the advanced features that enable you to further optimise results. In contrast, the comprehensive campaign takes longer to setup, and requires more time management. Yet, its advanced features give you enhanced capabilities. Here’s some of the advantages of comprehensive campaign structure. Set targeting parameters for individual products and services. Create specific text ads for each product or service. Separate mobile traffic from desktop traffic. Split-test multiple text ad variations. Keyword optimisation with Google’s conversion optimizer. These advanced features help to control traffic quality. So you can spend your budget where it gets the highest return on investment. I began this article with Gary’s Hamburger stand allegory. It’s perhaps appropriate to finish with the same example. Let’s say, as the owner of a hamburger stand, we visit 5 locations throughout the week. One location each day from Monday through to Friday. Now, since we only have 5 working days per week, it makes sense to spend our time where it gets the highest return on investment. Therefore, we’ll make more money by swapping the day at the Opera House, for an extra day at the Student Campus or Sports Stadium. This is an example of Conversion Optimisation. It is the process of generating maximum return from your efforts and investment. In the same way that some locations perform better than others, so too do some keywords generate more profit. Given enough time and traffic, we’ll start to see which keywords generate the most conversions. In other words, we use a keyword’s historical performance to predict future results. From this you can eliminate low performing keywords, and spend your budget where it gets the best results. If you have an underperforming AdWords campaign, or, you have a good campaign and want to make it better… then contact us today and schedule a free AdWords audit.